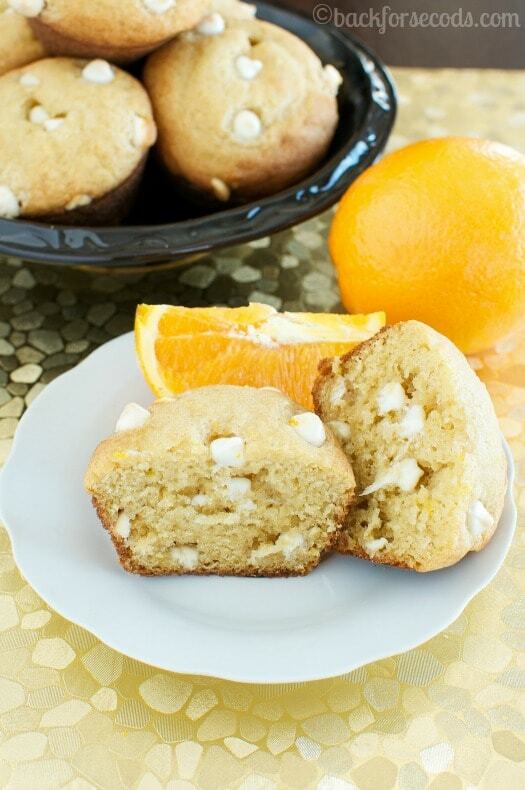 Creamsicle Muffins are a welcome treat for breakfast or brunch. They are light and fluffy with vibrant orange flavor, studded with white chocolate chips! If you are looking for something special to make for breakfast or brunch, give these muffins a go! They would be great for Easter or Mother’s Day…or pretty much any day. My family devoured a dozen in no time flat! It always amazes me how quickly muffins disappear in my house. This past week I made two dozen muffins in one morning, and they were all gone in just a couple days! 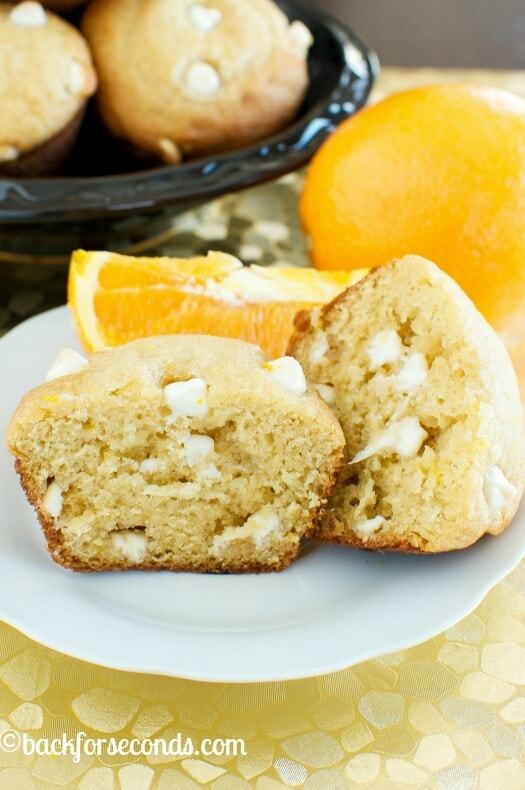 My kids were begging for these Creamsicle Muffins for breakfast, dessert, and snacks. They couldn’t get enough! I couldn’t really blame them – these were so so good! 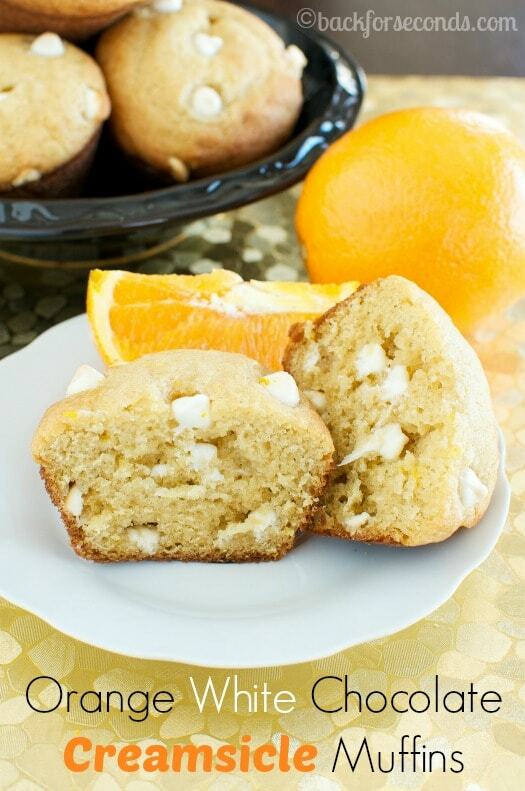 The orange juice and orange zest packs a beautiful citrus punch, and the sweet white chocolate chips perfectly complements these moist, fluffy muffins.